Each week, we’ll provide a theme for creative inspiration. You take photographs based on your interpretation of the theme, and post them on your blog <strong>(a new post!) anytime before the following Friday when the next photo theme will be announced. 2. To make it easy for others to check out your photos, title your blog post “Weekly Photo Challenge: (theme of the week)” and be sure to use the “postaday″ tag. 3. Follow The Daily Post so that you don’t miss out on weekly challenge announcements, and subscribe to our newsletter – we’ll highlight great photos from each month’s most popular challenge. 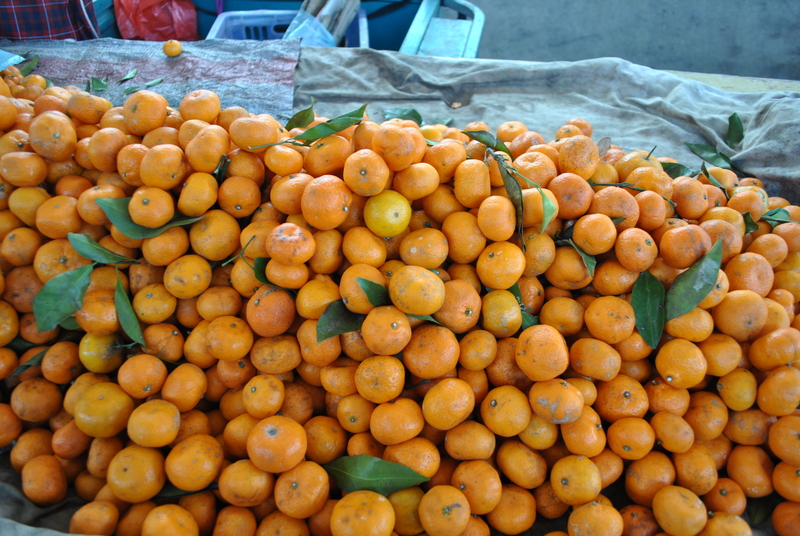 This entry was posted in Asia, Food, Weekly Photo Challenge and tagged clementine, fruit, mandarin orange, orange, photo, postaday, postaweek, Weekly Photo Challenge. Bookmark the permalink. Nice and simple! I like it! Thanks for the pingback! I love how grateful you are to all who give you a pingback. You’ve got a lovely blog.